Take a few decks of cards, add a healthy mixture of luck and skill, mix in a generous measure of drama, a dash of suspense and a glug of excitement – that’s blackjack. A simple, exciting game that has entertained players for centuries, blackjack is a staple of all live and online casinos. Play one of the many blackjack variants available at Leo Vegas, including taking on a live dealer in real-time. Now, let’s find out how to win. The aim of blackjack is simple: get 21. If your cards total over 21, you’re bust and must live to play another day. 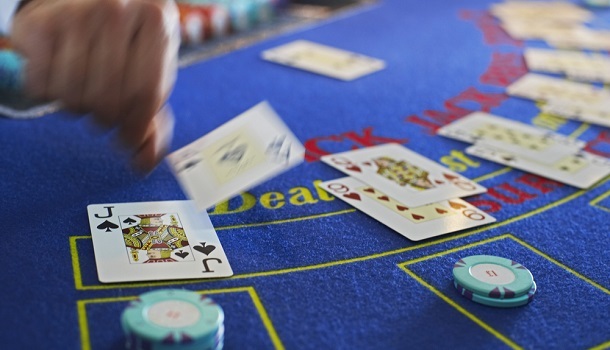 Every game of blackjack has a perfect basic strategy. This involves knowing whether to stand, hit, surrender (if applicable), split or double based on your two cards and the dealer’s up-card. Different variants of blackjack will have different optimal strategies, each of which will result in the least amount being lost in the long run. Card counting is a strategy used in live casino blackjack games. This method, performed correctly, will give the player an advantage over the house. Using card counting, players can deduce when a high concentration of higher-ranked cards will be dealt and make large bets to profit from this information. Basic counting involves assigning a positive, negative or neutral value to each card. When that card has been dealt, the count is adjusted – for example, a 6 or lower will be worth +1 while a 10 or higher will be worth -1. The higher the total, the more likely it is that higher cards will be dealt.